The Luberon valley is, in my experience, the most authentic and intriguing area of Provence. 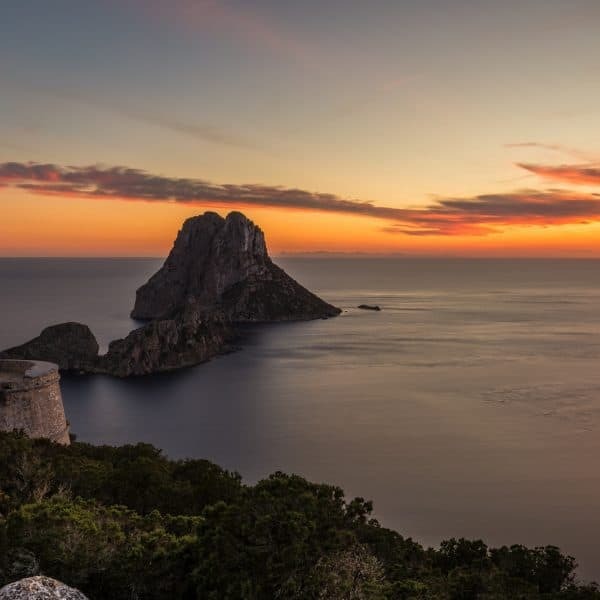 It’s a place where time has seemingly stood still for centuries and you can still sample the alluring Provençal charm that has captivated countless visitors throughout the years. 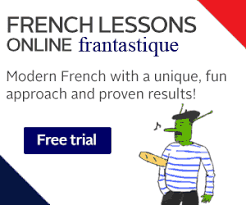 It’s an area of France that deserves to be savoured. But if you’re short on time, it’s absolutely possible to see many of the highlights in a weekend too. Here’s my guide on the best things to do in the Luberon Regional Natural Park in Provence. What is the Luberon Regional Natural Park? 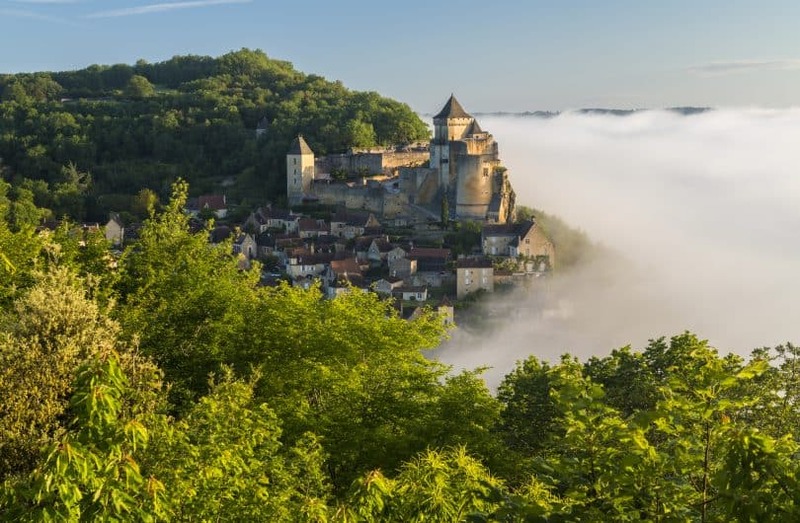 You may well be more familiar with this area of France than you think you are… The Luberon spans over 600 square kilometres and is home to several stunning villages – 5 of which have been officially classed as ‘Les Plus Beaux Villages de France’ (The Most Beautiful Villages of France). 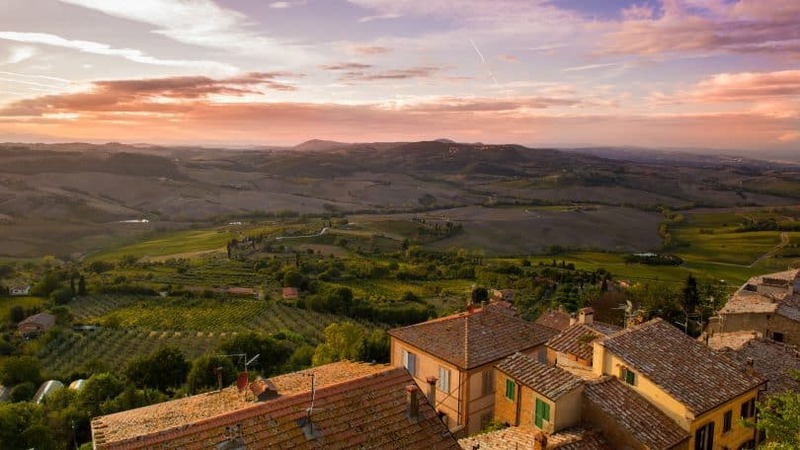 Perhaps you’ve heard of Gordes, Roussillon and Ménerbes? Or indeed, if you’re a fan of author Peter Mayle’s books, or you’ve seen the movie A Good Year – then you’ve heard of the Luberon. The Luberon valley is a massif made up of three mountain ranges. The Petit Luberon, the Grand Luberon and the Luberon Oriental. It’s a place bursting with history, and rich in agriculture. Where is the Luberon Region? The Luberon is located in central Provence. It borders the Durance River in the South and reaches out towards L’isle-sur-la-Sorgue in the West, and Manosque in the East. The Luberon is conveniently located near many of Provence’s main airports and train stations. Avignon train station is the closest port of call, followed by Aix-en-Provence station, the Nîmes/Arles airport and Marseille airport. 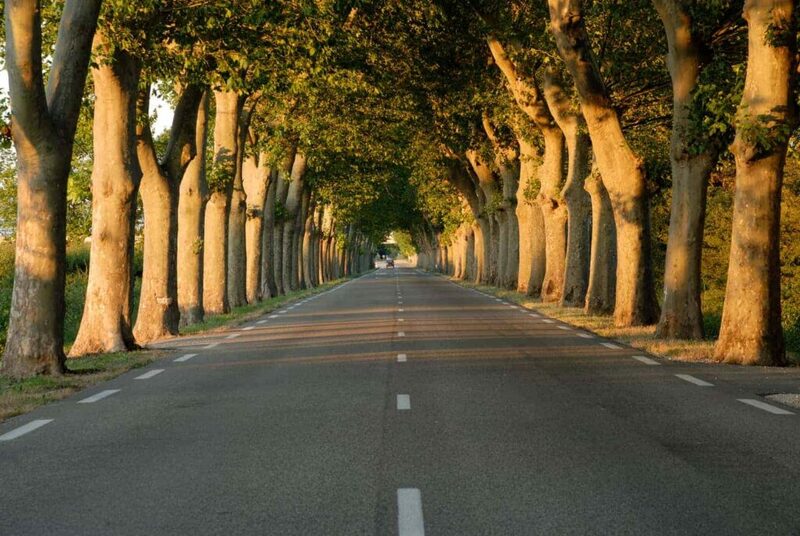 Where you start your tour of the Luberon will depend on which direction you are travelling from. From either Avignon or Aix, the entrance to the Luberon valley is a little over half an hour’s drive away. If you want to stay in the Luberon region and explore your surroundings, you’re going to be far better off if you hire a car. Alternatively, you could stay in either Avignon or Aix-en-Provence and enjoy the region through a series of pre-arranged day tours. Driving in the Luberon is fairly straightforward. Directions are well signposted, and the roads are well paved. Just be aware that the village streets in this corner of France can be very narrow, so it’s advisable to hire a smaller vehicle to avoid mishaps! Check rental car prices here. The Luberon is large, so if you want to see as much as you can while minimizing long days in the car, staying central is the way to go. Goult is a lovely village that is slightly less busy than some of the more well-known villages, while still being very authentic and charming. 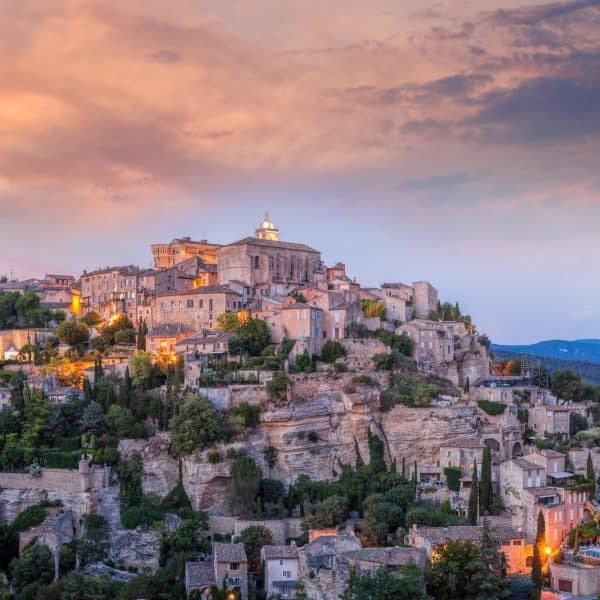 Gordes is known as ‘the’ place to stay if you’re seeking luxury, and Ménerbes is home to some exquisite Luberon gites and villas. 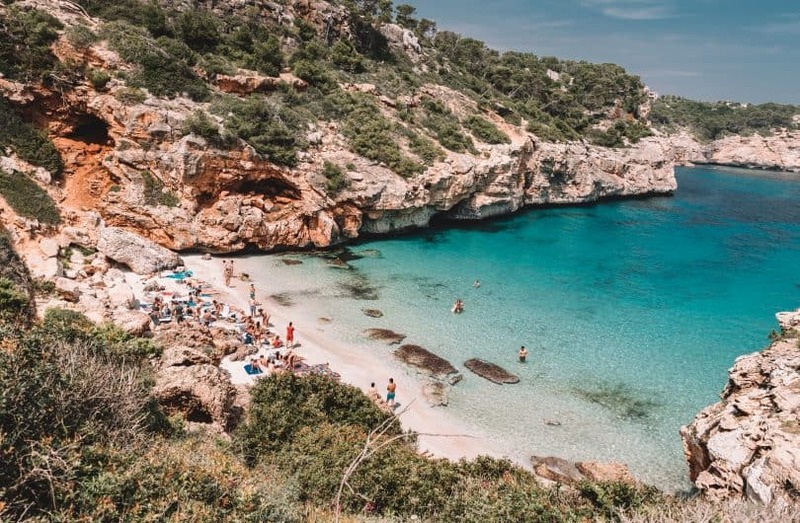 See my favourites below or read my guide on the best places to stay in Provence for a more in-depth guide to the region. The Luberon is best explored without a set plan of attack. There’s nothing more satisfying than coming across the perfect picnic spot, a bucolic village tucked away down a lane, or calling into a vineyard to sample the local wines spontaneously. So map out your main points of interest by all means, but allow time to get wonderfully sidetracked on the way! The Luberon valley is home to some of the most beautiful villages in Provence, if not the country. You could easily spend a few days simply driving from village to village and noting both the similarities and stark differences between each one. Don’t miss Roussillon for it’s wonderfully bright pastel coloured houses, Gordes for the most breathtaking views (stop before you get to the village for the best vantage point), Lacoste to see the hilltop sculptures around Cardin’s castle, Ménerbes for its rich history and preserved heritage, Lourmarin for its laid-back vibe and well-preserved château, and L’isle-sur-la-Sorgue for its antiques and moss-covered waterwheels. Pack your walking shoes when you travel to the Luberon as the diverse landscapes can be best appreciated on foot. 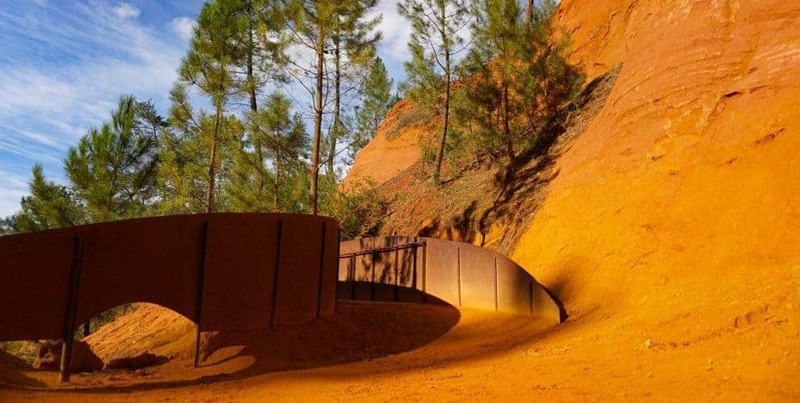 The short but breathtaking walk through a former ochre mine in Roussillon is a must-do. The aptly named Ochre Trail will dash your preconceived ideas of what Provence should look like as you marvel at the rust red coloured earth and the towering natural pillars and canyons. The Forêt des Cèdres is another fantastic location for a walk with a view. 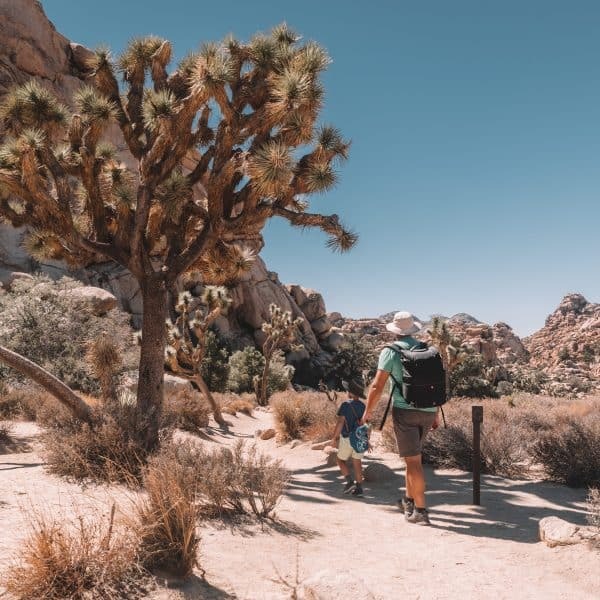 There are a number of trails to choose from – ranging from a quick and easy stroll to a multi-hour ramble through the forest. If you want to discover more walks throughout the Luberon, I’d highly recommend picking up a copy of a detailed Luberon Walking Map to help navigate you through the undulating landscape. The Luberon valley is an ideal location for cycling enthusiasts. The scenery is unmatched, the routes are interesting, and there are plenty of amazing places to catch your breath along the way. 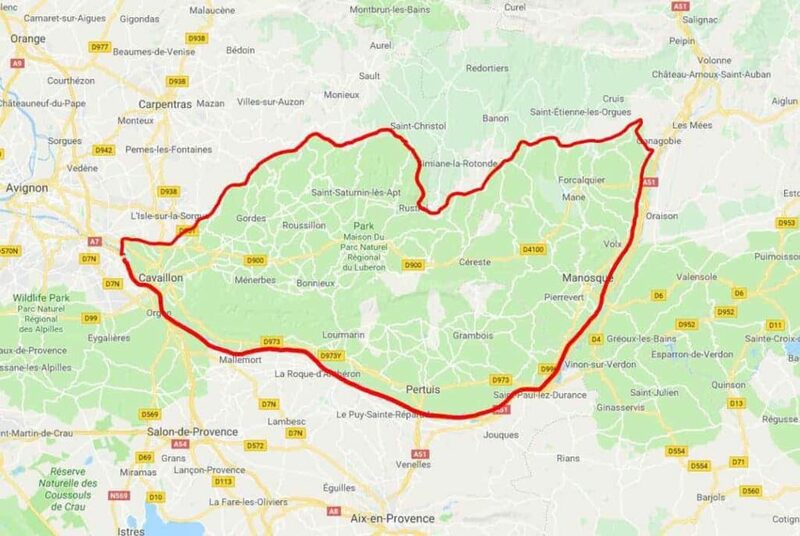 There are several marked cycling routes within the Luberon, you can make it up as you go, or you can follow any of the routes in this handy brochure. Love the idea of cycling in the Luberon, but not sure if you have the fitness required? Rent an electric bike to make the journey more enjoyable! Rosé is the wine of choice in Provence, but the Luberon also produces some fine reds and white wines. You’ll invariably come across many a wine-producing château as you tour the Luberon. Pop in to sample the vintages on offer. For a less random approach, you can book a wine tour and learn what makes the Luberon wine region so special. There are markets on every day of the week in the Luberon valley. On Monday you’ll find them in Cadenet, Cavaillon and Lauris. Tuesday is a busy day with markets in Lacoste, Cucuron, Gordes, La Tour d’Aigues, Saint-Saturnin-lès-Apt and an evening market in Lourmarin. 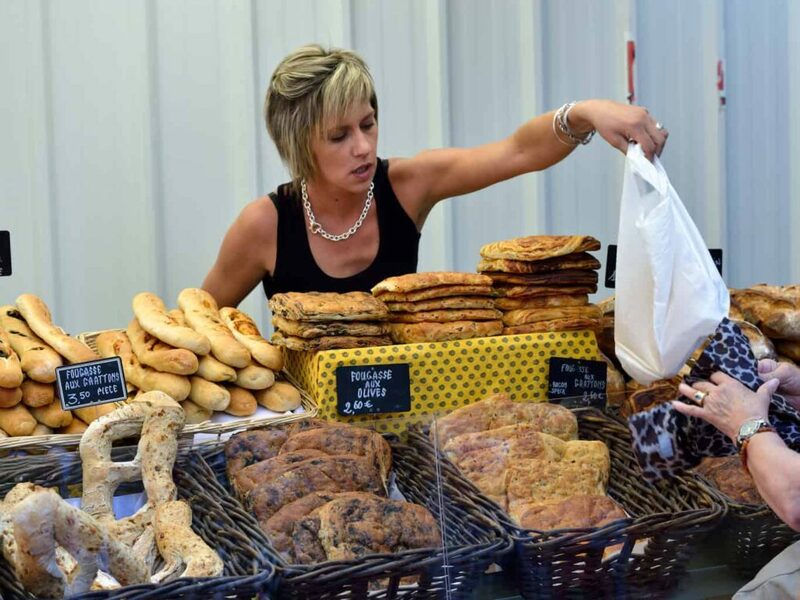 Wednesday is also popular with market days in Merindol, Sault, Gargas, Pertuis and Saint-Martin-de-Castillon. On Thursdays, you can fill up your basket at the farmer’s markets in Goult, Robion, Cereste, Caumont, Menerbes and Roussillon. Friday is a little quieter with just two markets in Lourmarin and Bonnieux. In the weekend, you’ll find markets in Apt, Cheval Blanc, Pertuis, Oppède and Manosque on a Saturday. And on Sunday you can combine the weekly farmers market with the antique market in L’isle-sur-la-Sorgue. The French are undoubtedly proud of their food culture, and nowhere is this more evident than in the Luberon. Head straight to any boulangerie (bakery) to sample freshly baked delights including the regional specialities of fougasse and calissons. Browse one of the daily farmer’s markets to fill your basket with fresh and delicious local produce. Dine at a cosy bistro or try the fine food on offer at one of the many one and two-starred Michelin restaurants throughout the Luberon. Provence is famed for its lavender fields and the Luberon is home to some of the most stunning examples. 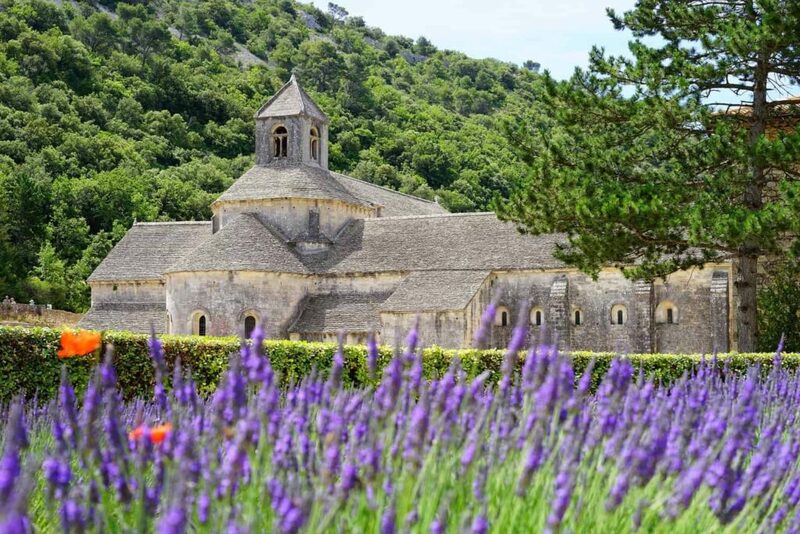 The Sénanque Abbey near Gordes is a must-see when the purple flower is in bloom. And you’ll find flowering fields popping up all over the Luberon landscape. Even if you’re visiting outside of the prime lavender season (end June – beginning August), you can visit the Musee de la Lavande to get your fix! The museum has a small but interesting display of lavender stills and you’ll learn the importance lavender has had in this region throughout the years. 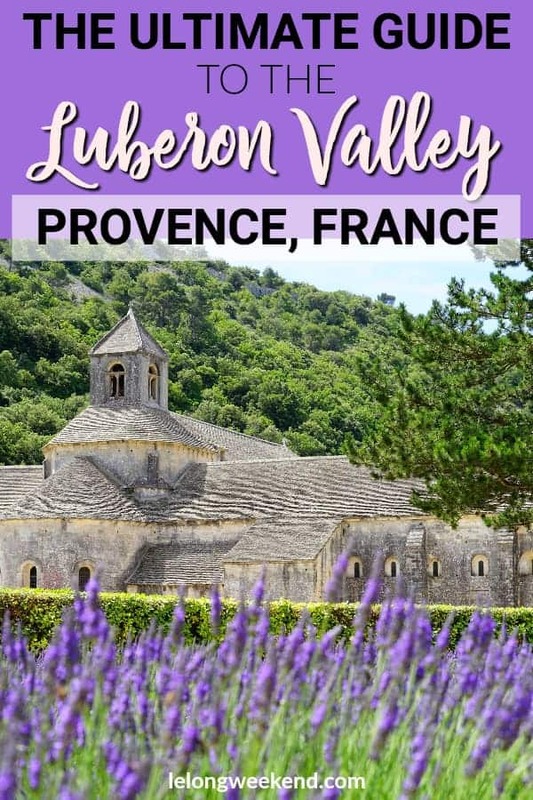 If you have time to continue your travels in Provence after visiting the Luberon, there are many towns, cities and attractions nearby that deserve your attention. Aix-en-Provence is the historical centre of Provence and is affectionately known as the city of fountains. You could easily spend a day simply wandering the charming old town and counting how many fountains you can spot on the way. From the grandiose stature of the rotonde, to the downright weird looking ‘living’ fountains. In Avignon, visiting the Pope’s palace is a must-do, and a trip to the covered market – Halles d’Avignon – should be at the top of any foodie’s bucket list when visiting Provence. 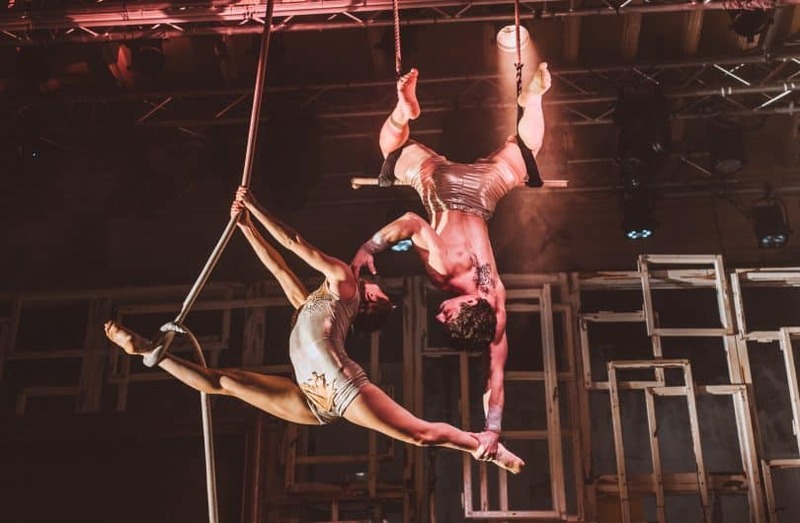 Other notable towns in the area include Arles, Nîmes and Marseille, which are all distinctively different and worth getting to know if you’ve got more time up your sleeve. To help you plan your onward journey, have a read of my southern France itinerary planner. The Luberon valley in France is one of the most beautiful places you’ll visit in your lifetime. It excites the senses with its sights, smells and tastes. It invigorates the soul. And it will leave you with a wonderful collection of memories from your time spent in the region. When are you coming? To find more information about the Luberon, visit the official website, here.